PORT PERRY, Ontario – Adamson Systems Engineering announced the appointment of Ayumi Hanano to Education & Support Coordinator for the Asia-Pacific region. Adamson Systems Engineering is pleased to announce the appointment of Ayumi Hanano as Education & Support Coordinator for the Asia-Pacific region. In her new role, Hanano will be assisting Adamson’s APAC team with technical support and is now the first point of contact for all training inquiries and initiatives in the region. Hanano has already overseen the delivery of Adamson’s Applied Certification training for hundreds of attendees in several countries and will soon begin presenting Adamson’s recently launched Advanced Certification training as well. She’ll also be spearheading technical support for Adamson partners and users throughout the region. Born in Japan but spending some her formative years in Birmingham, U.K., Hanano returned to her native country in her mid-teens. She realized her penchant for live audio production relatively early was mixing shows while still attending upper-secondary school. Her professional career began with an FOH engineering position at well-known jazz venue Motion Blue Yokohama, a branch of Blue Note Japan. 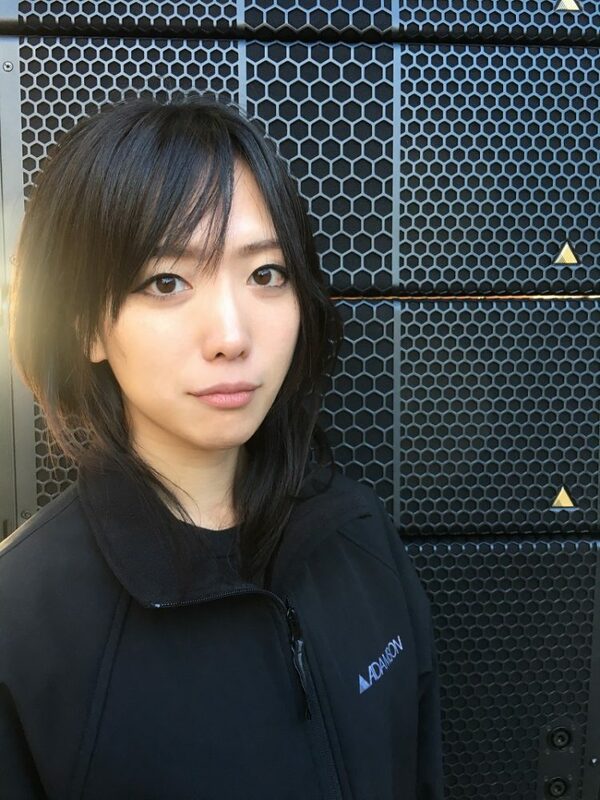 From there, she freelanced in several reputable jazz venues throughout Yokohama and Tokyo while also touring several countries as an FOH engineer with a well-known Japanese singer-songwriter.